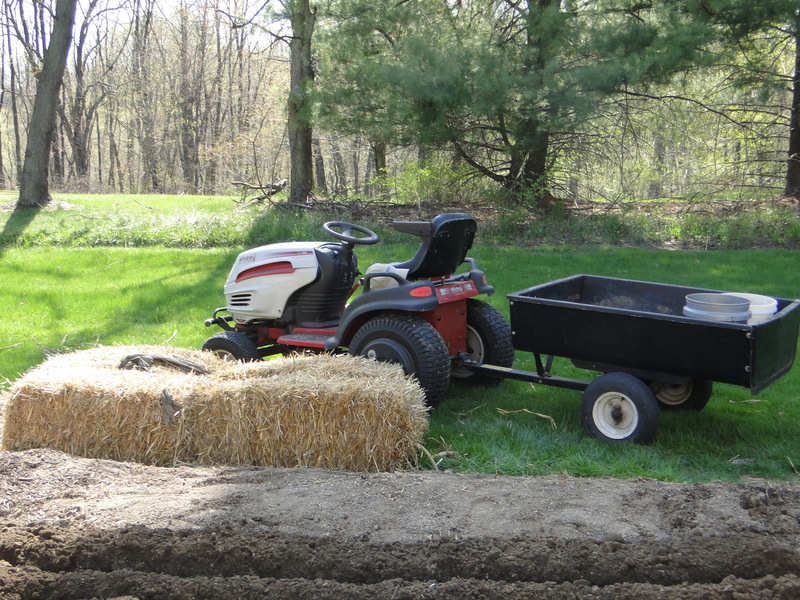 As I sit on the balcony writing, my husband passes by on the tractor, pulling a wagon filled with the compost bin and some manure, and garden tools. He stops near the raspberry plants desperately climbing higher and higher to catch some of the sun that’s been playing hide and seek for the past month. Robert trims their tops as careful as a barber does with his clippers. He tenderly pulls dead branches and leaves back away from the base of a plant. 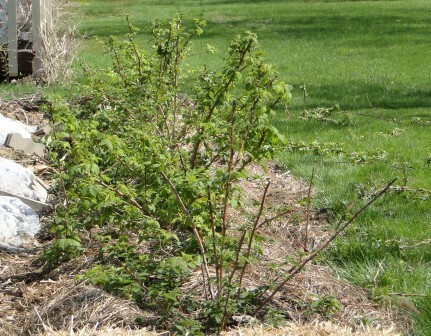 He planted these bushes last year with different varieties that will produce from spring to fall. Last year, we only had fruit from the late-season variety. How lovely it will be to have raspberries from May-October. I hope they produce enough for jam. Raspberries are the heart for one of my best childhood memories. We had a raspberry patch in our side yard. Every summer morning, my mother and I went to the patch before breakfast. We’d pick enough for cereal. Raspberries atop Rice Crispies® evoke a feeling of warmth and safety. It also represented a time of peace between my mother and me. My mother’s gone now, as are those raspberries. My daughter will be here when the first raspberries are ready this spring. We’ll continue the tradition, and I’ll stock up on the Rice Crispies® – although most likely I’ll make granola instead. The tomato plants wait patiently in trays in the den. The leaves are lush and large. As soon as possible, they’ll go in the ground. Robert started saving seeds from the best tomato varieties two years ago. This year, for the first time, all the plants came from our seeds. Let’s hope they produce as well as their ancestors. 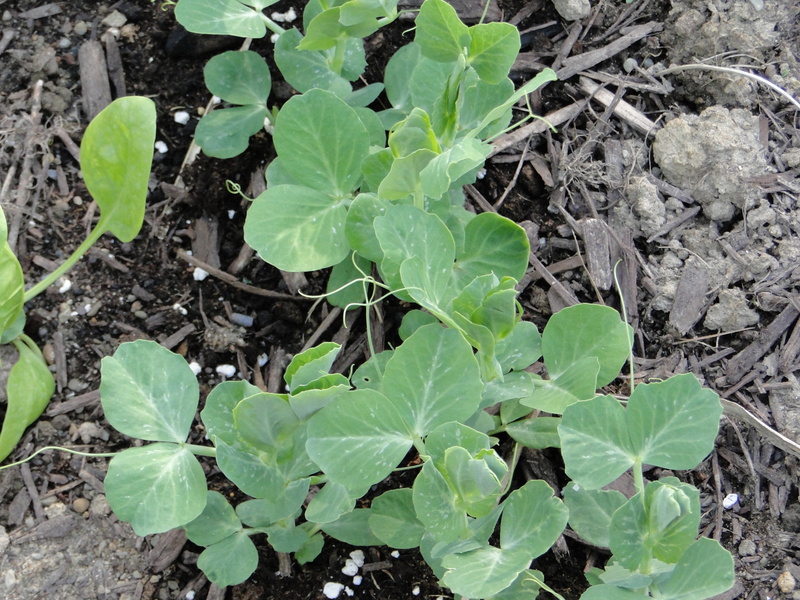 In the garden, the peas, spinach, broccoli, cauliflower, and cabbage plants are growing every day. I can’t wait to shell my first pea pod of the season. We’re still eating the produce from last year’s produce. This morning I made zucchini bread using shredded zucchini I froze last July. We had spaghetti this week using our canned sauce. Tonight I’m trying out a new recipe for quinoa burgers that uses shredded zucchini along with the quinoa, goat cheese, and eggs. I’ll share the recipe, if it turns out, in next week’s blog, along with some information on quinoa. I also froze cole slaw last summer. I used vinegar as the base sauce, but when I unfreeze it, I add a small amount of mayonnaise to hold it together. We had some a couple of weeks ago, and the flavors are outstanding, although the cabbage isn’t quite as crisp as fresh, but it was worth using up the extra cabbage this way. I also made tomato sauce from the tomatoes I froze in September when I just couldn’t face anymore canning. It makes an excellent sauce. 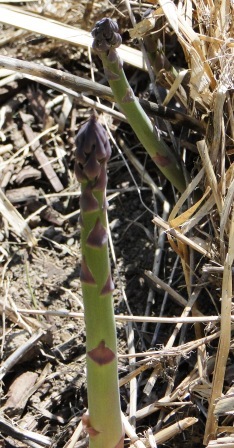 Last night, we picked a few of the asparagus peeking out from their bed of straw. This is the second year they’ve been in the ground and most recommend waiting until the third year to eat. But how could we resist these beauties? They melted in our mouths. 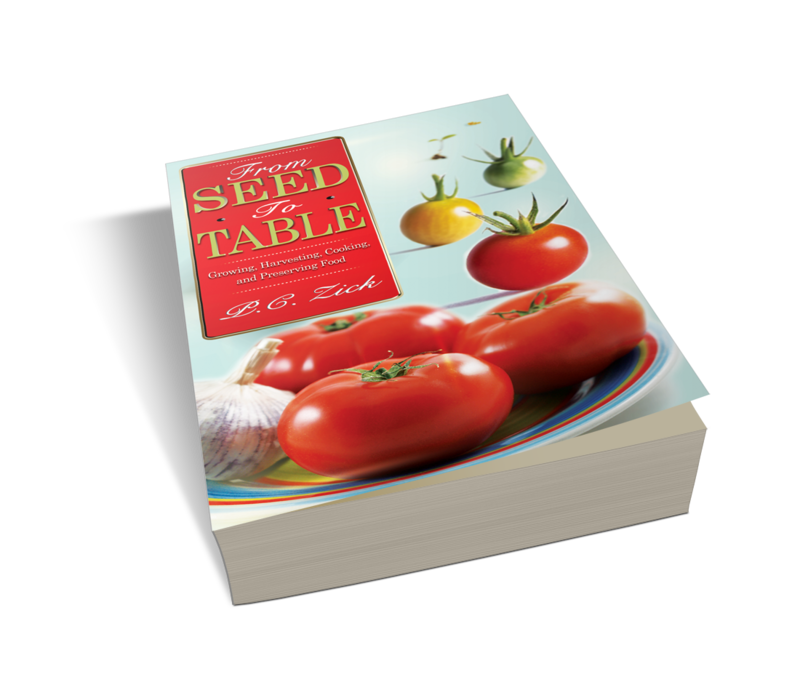 All these recipes and more are a part of From Seed to Table, which I plan to publish as an eBook in May. Here’s my recipe for making sauce from frozen whole tomatoes. Chop tomatoes, even if they’re still partially frozen, throw pieces into pan with sautéed mix.Bring to boil then put on low for several hours, stirring occasionally. When sauce is reduced enough, it’s time to use sauce in your favorite Italian dish. 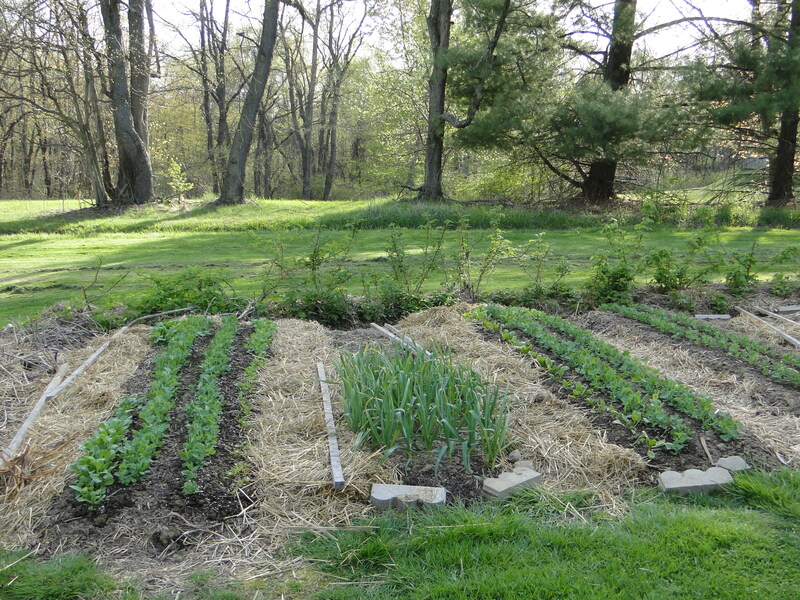 I always love to hear about your gardens or ideas for using produce throughout the year. The Tour Schedule for April 26 – Check out these blogs today and enter to win the tour giveaway. BestsellerBound Recommends features an interview with me using “M” words to describe myself. 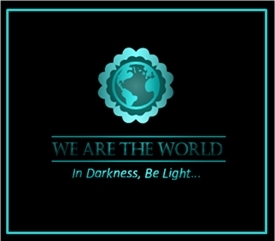 Maria Savva and Darcia Helle created this blog to showcase Indie Authors and to provide a place for Indies to gather. Fellow blogger and author Annamaria Bazzi hosted me for a guest post on her blog Annamaria’s Corner. Since it’s the third anniversary of the oil spill and Earth Week, I thought it appropriate to repost on my blog. Please stop by Annamaria’s Corner where she posts about writing and promotes her fellow authors. 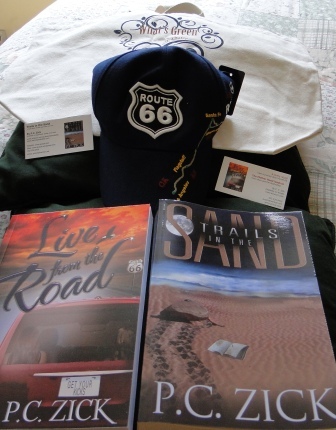 My new novel, Trails in the Sand, serves as a reminder of two preventable disasters that occurred within two weeks of one another in 2010. Forty men died and countless wildlife and their habitats were injured or destroyed. Both events touched my life in some way and both made their way into the writing of Trails in the Sand. The first one occurred on April 5 when the Upper Big Branch coal mine in West Virginia exploded, killing twenty-nine miners doing their job in the bowels of the earth. Subsequent reports showed the company ignored safety regulations, which played an important role in the explosion. At the time, I was in the process of moving from Florida to western Pennsylvania. The mine is located several hours from my new home, so the local media covered the disaster continually for the next few weeks. The national news also kept its eye turned toward a small town in West Virginia where families mourned their husbands, sons, fathers, brothers, and cousins. After April 20, the lens of the cameras shifted to the southwest. I’m a firm believer in the subject choosing the author. When that happens, it’s best to let go and enjoy the gift.